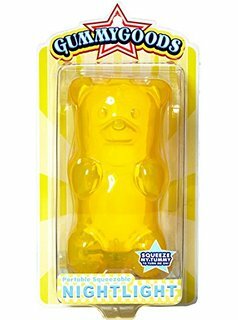 Gummygoods Gummy Bear Night Light [Green] Squeeze My Belly to Turn Me On! Gummygoods Gummy Bear Night Light [Orange] Squeeze My Belly to Turn Me On! Gummygoods Gummy Bear Night Light [Red] Squeeze My Belly to Turn Me On! Gummygoods Gummy Bear Night Light [Pink] Squeeze My Belly to Turn Me On!